PoPville » Scuttlebutt – Immortal Beloved Hair Salon Moving to Muleh Furniture Retail Space on 14th Street? A very reliable source sends some news about one of DC’s most well known salons – Immortal Beloved. Word is that Immortal Beloved is likely going to move from their current 1457 Church St, NW location to the nearby current location of the Muleh furniture store at 1831 14th Street, NW. 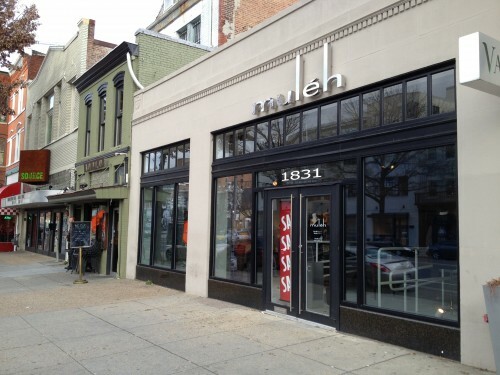 They also say that Muleh will likely be moving into a new space in Georgetown. Not sure of the planned timing of this move but both Muleh and Immortal Beloved remain open. More info as it becomes available.